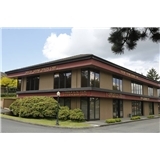 South Sound Dental Care (Tacoma) - Book Appointment Online! Dr. Moona Khan is accepting new patients. Most people think dentists spend most of their time staring into their patient’s mouths, but the truth is, most of our time is spent answering questions that come out of them. As patients have become more health-conscious and involved in their own care, communication in dentistry has become the most vital part of care-giving. Establishing rewarding and lasting relationships with patients is important to us. By taking care of your dental health, you are also taking better care of your overall health and quality of life. That’s why we are dedicated to creating a partnership for health and for life. Incredible service, would highly recommend her to my entire family for care.